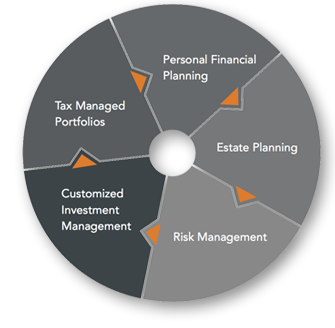 Welcome ONE Advanced Planning is a wealth management firm providing Canadian and US citizens cross- border investment expertise and investment wealth management. More specifically, we work with Canadian families that have U.S. assets and with U.S. families to better manage their wealth. We advise wealthy families on how best to grow, protect and ultimately distribute their wealth in an effective and efficient manner. We are unique in that we are able to implement custom strategies with our proprietary multi-asset class investment management service and tailor our tax-management uniquely to each family. For each of the other components of wealth management we choose to joint venture with firms that are experts in their particular discipline. Our cross-border services connect you directly with industry professionals to execute your family’s wealth management plan.